As the title says, It's safe! I had an excellent Britax travel system (Bob motion), a 4-wheels one, with real pneumatics/tires that could make the stroll smooth and run over any obstacle with excellent maneuverability. Well, I had to replace that with a new one and I couldnÃ‚Â´t think of another maker, since I had no claims about Britax. I then bought the B-Agile...A bit lighter, equally easy to fold and carry. But how horrible is its maneuverability. 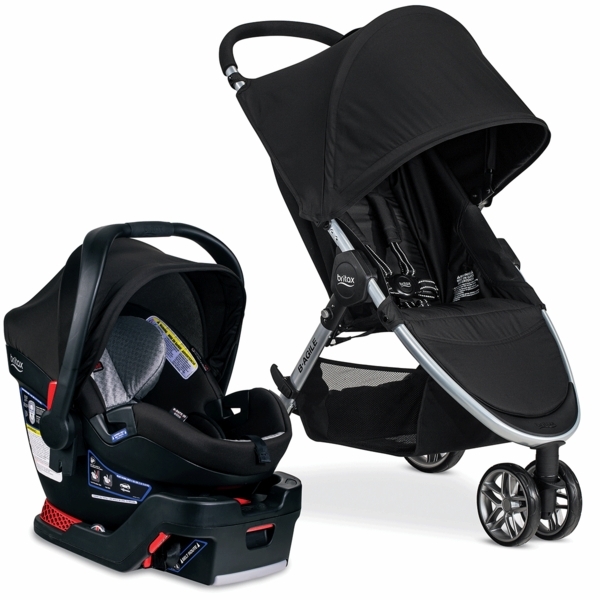 The solid wheels are tough and transmits any and every vibration to the baby. Its not easy to guide with one hand whenÃ‚Â´s needed. It simply does not go !!! Hard to make curves, much harder to roll over simple and small obstacles. 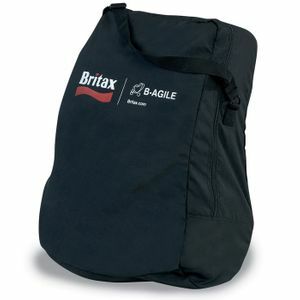 DESPITE BRITAX EXCELLENT QUALITY, I DO NOT RECOMMEND THIS B-AGILE IN NO WAY ! This system has been a life saver for me. It is super easy to use. I have been able to easily maneuver the stroller and car seat. The stroller itself is a game changer, the back reclines down with ease if your child needs to take a nap. It also folds up with a push of a button. 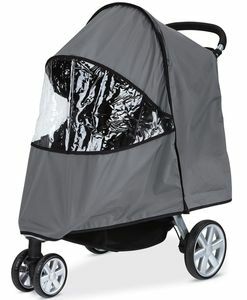 It is also great during walks and sufficiently protects your child from sun and rain. Overall an excellent system. I love this car seat it's my second one! I bought this for a second time for my son. 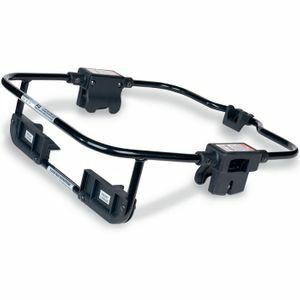 I need help with my warranty my bar is broken. Thank you! It came very quickly! Great product, safe, sturdy, and comfortable. Only downsides are the weight and cost. Its an expensive carrier, and a bit heavy, but I would imagine any other quality seat would be heavy as well. We bought this travel system when our baby arrived. 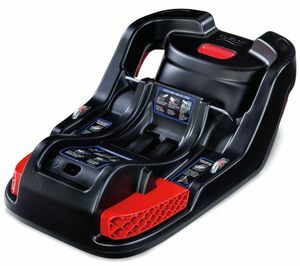 It is very light weight, easy to put in and take out of the car, and very sturdy. We are very pleased with the performance and ease of use. The stroller is smooth and easy to move. Effortless! This is my second time getting a Britax stroller but the first time with this model. I am so glad that I went with Britax for my second baby. It's safe and has amazing features. It's so easy to use-you can even open and close it with just one hand! I wouldn't use any other stroller. This is everything you want in a travel system. The car seat base is simple to install and the infant carrier clicks in and out with ease. The carrier is extra padded with a soft material on the outside to give your infant comfort and protection. The stroller is simple and lightweight which makes it easy to load/unload from your vehicle and fold/unfold with one hand. I really love it!!! And now I am very worried because it's broken they chest clip and I don't found a replacement. Bought this for my daughter after reading great reviews and I was not disappointed. This was super easy to install. The functionality of the car seat and stroller combo is great. The levers and buttons are easy to press and don't get stuck, where other car seats malfunction. 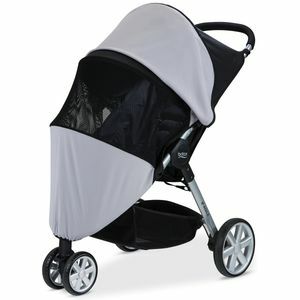 The stroller glides and maneuvers with ease and turns on a dime. The wheels don't ever lock up or get stuck mid turn. Honestly I can't say enough good things about this travel set. I liked it so much I just upgraded to the B-Ready stroller. We bought this system last year. While the seat and stroller are pretty great the harness on the car seat is not long enough. The car seat is good up to 35lbs and our baby is about 23lbs and the straps are already too small and cannot be adjusted anymore. After doing some research it seems a lot of people have this same issue. We wish we had known before we bought this car seat. Britax should make an extender for the harness on this carseat. 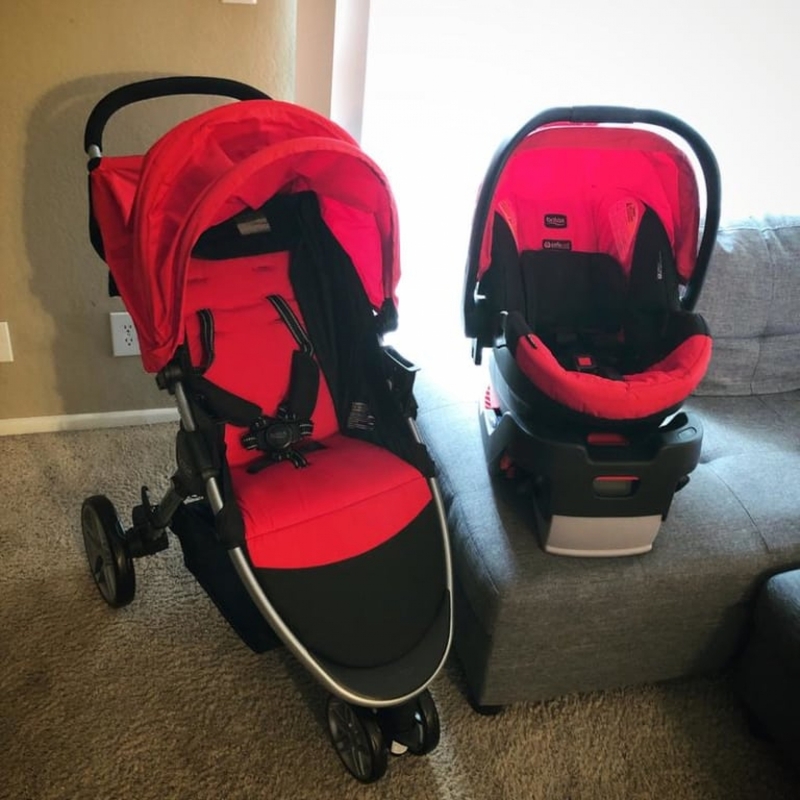 Mainly bought the britax travel system (b safe 35 elite) because of the safety reviews, but it turned out to be very easy and convenient too, which is a plus!! Loved being able to just transfer the car seat to the stroller when baby was sleeping as to not disturb her sleep. I also could not be happier with the one hand fold and how lightweight the stroller is. The price is also great for the quality and safety! We had the britax travel system with our first two kids and decided to get a new one. We love it and the elite car seat is so worth it! The shipping took a little long but I canEtmt complain because there was free shipping!!! I bought this item for my daughter. It arrive pretty fast. I have no problem ordering it. It was an easy step by step for check out. We are very happy. ProsBest deal. No Sale tax and no shipping fee. And arrived pretty fast. ConsYou have to pay for return shipping fee. I like the look of the stroller easy to put together . I love it. I can't wait For my baby to use it! Although the car seat is a bit heavy i like the whole thing. I love how big the stroller shade is. I would recommend this travel system. 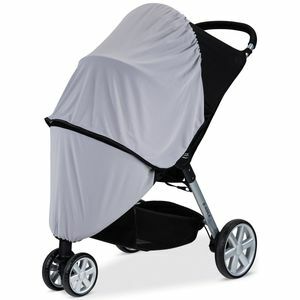 ProsBig shade, light sroller, easy to push..
ConsNo tray, heavy car seat. Great price and absolutely love this print! We're excited to use both the car seat and the stroller for our baby. 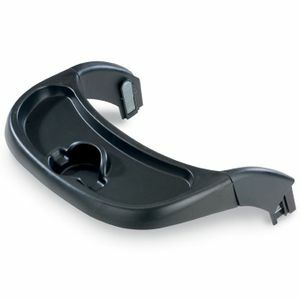 The car seat base was easy to install, and there are three different options on now to install in your car. The car seat is light weight and user friendly. The stroller is also light weight and was a breeze to assemble. It's so nice to be able to collapse with one hand and easily unfolds. Bought for my new baby, very easy to assemble, about ten minutes get it assembled, also very easy to collapse with one hand. Haven't started using it yet, but looking forward to using it for my new baby. ProsEasy to assemble Easy to collapse. Lightweight. ConsCan't stand by itself after collapsed, the Chicco one can. No tray? We bought it for our first born over 2 years ago. Great car seat and very durable stroller. Takes a beating and still works like new. Recommend buying the drink holder add on. We live in Florida. My baby hates her car seat because she gets way too hot. She fights me and cries whenever I have to buckle her in and when I take her out she is always damp with sweat. At 12 months and 20 lbs, she should still be able to use the infant seat. However, I am now purchasing her a convertible car seat and looking for one that will make her more comfortable. I find that the stroller doesn't provide enough support for her to sit up straight and look around. She is always reclining too far, no matter how tightly I adjust the straps in the rear. Have been using this stroller for about 6 months now and I have to say I am extremely disappointed. I splurged on this travel system, was going to just get a graco or chico. I regret purchasing this. I don't use the system together much anymore but the stroller itself squeaks, i think it is hard to push and steer one handed. I wouldn't think a stroller would already show signs of wear after 6 months. I used a Eddie b. Travel system with my first child and the stroller was bulky, heavy and not so easy to push at times. I am so pleased with this purchase already (still have 3 weeks of pregnancy left) the car seat seems much safer and is lite. The stroller is so lite and easy to push. My favorite part is I can fold it up using only one hand! Can't wait till my baby boy gets to use it! Love the colors and how easy it looks to wipe down! I researched for a long time for a good car seat. All the reviews came to the same conclusion when it comes to safety it is: Britax!!! It is also very easy to install. The base is very easy, and to transfer the seat from the base to stroller is very easy as well. It is really worth every penny! I had a britax for my daughter from infant to forward facing. This is my go to brand! Easy to install and super sturdy and safe! Easy it take the car seat in and out. Stroller is easy to set up and take down. Love it! We loved the reviews and went and tried it out at the store and loved it then too. My mom bought it for us and gave it to us at our shower and we were so excited. However, baby is 5 months old now and we're not loving it at all. The car seat is SO heavy; now more than ever as baby gains weight. The stroller is impossible to push with one hand and the front wheel always sticks - either it won't turn at all or it mega overturns. I remember trying to fold and unfold the stroller in the store when I was like 6 months pregnant, but now it seem impossible to open and close without extreme effort and getting the dirty wheels all over my legs and arms. The add on pieces are a major hassle. Carrier is narrow and deep. Baby hates it & sweats in it. I do not recommend this product. Especially for the price. Very easy stroller to load, and unload. Breaking it down, and taking it out is a snap. Works great either forward facing or rear facing with the Britax seat that just snaps right in. The complaints with this stroller are first when you are going for a walk around a lake like we do in the summer the handle isn't quite long enough. I've had a number of times that my foot accidentally hits the brake, or you hit your feet against the tires. Granted I'm 6 foot, but I have short legs and its not like I'm speed walking when this happens. An option to extend the handle out I'm guessing would fix that. Next issue is it is a two handed stroller! It's hard to turn the thing if you don't have 2 hands on it which is more of an issue when you're shopping, or if you happen to bring that cup of coffee with you on that walk. You need 2 hands on the stroller at all times to steer it. Which brings to the final thing that I hear from my wife all the time... no cup holder for Mom or Dad. 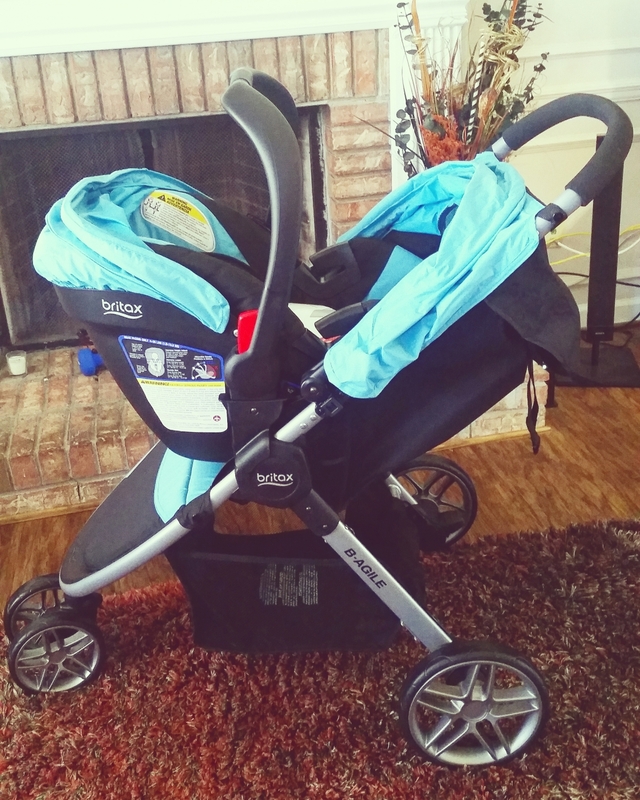 As a parent of 4 children, I've had my share of strollers that are a hassle to fold, but this stroller makes it a breeze. I just press button, pull the handle on the sit and everyone expression is like wow! lol... I get to put my daughter in the car and with in 1 second this stroller is in the truck. If opening this stroller was like closing it, that would be Great, but I wont ask for too much! This stroller is extremely light weight. My daughter still fits in the car seat and shes 6 months, tall, and she wear 12-18 months. This stroller is extremely light weight compared to other travel systems. This was my first stroller when I had my daughter and I loved it. I kept it all the way till the very end when she no longer needed a stroller. It traveled with us everywhere by car and plane and held up perfect. My daughter also enjoyed this stroller she always wanted to nap on it and whenever she would see it she'd want to go on walks with it. I did have few minor issues but they were quickly resolved by contacting customer support. Overall, a great travel system! We bought this for our first child from infancy, and overall we've loved the system. It is easy to use, lightweight, and easy to travel with. The stroller drives nicely. My only complaint, now that we're using the stroller without the infant seat, is that the seat does not sit fully upright. In fact, it doesn't even sit upright enough for him to reach the snack tray attachment. I wanted a Britax for the safety rating, but it was more than I wanted to spend on the third/final baby. This was my favorite color AND it was nearly $200 cheaper than I found elsewhere. I'm really happy with this find. It shipped quickly too. Just bought this travel system, definitely worth the price. Good design, maneuverability and padding. The only thing its missing is a foot hold. Amazing product at the best price! Shipping was very fast! i bought this Travel recently .. 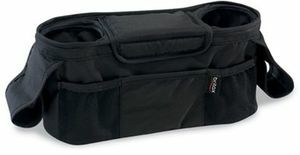 It is very light .. looks fantastic .. easy to carry and adjust in your car .. Easy to assemble together . and once assembled , it is STRONG .. My child loves it and it is so comfortable for the child, that he sleeps in it as soon as placed in the car seat .. The stroller is super light ... and super easy to move around with .. Very stylish .. RED color gives it an amazing look .. This is a MUST have .. Very satisfied with their products .. Thank you Britax .. The car seat is great! Sturdy and safe for baby! Stroller is light but sturdy. Love it! Awesome product, don't miss it! This travel system is so great. It's easy to fold and unfold. And you only need just one click to assemble infant car seat on the stroller. The designed 3-wheel system is so smooth and it's also available to use by one hand. LOVE IT! Love, love, love this system! Seen this brand at a Baby Show and fell in love right away! Was able to purchase this right before baby came home. From Stroller set up, to Car Seat installation, I have no complaints! I am 4'11, so I needed something that was lightweight and easy to transport. Stroller is easy to open and close and store in the trunk of my SUV. Car Seat is heavy duty and therefore a bit heavy to carry long distances, but tolerable for short distances without the stroller. 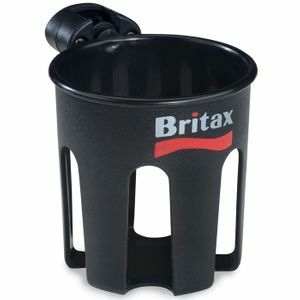 I am very happy with this purchase and will be sticking to the Britax brand! I had bought this stiller and car seat set for my son. Second child, the car seat is super heavy, the handles feel wiggly from him being 14 pounds! The only thing I like is the stroller how easy it compacts and folds. But the stroller too is a mess! Not much room on the bottom level for a diaper bag, comes wl a bag that zips and takes a while to zip because there's two different zippers and no where to hold the baby's bottle! Also there's no bar for when they sit forward to place a bottle Little or snack on. Again only good thing about the stroller is THE WAY IT FOLDS UP! Once I press the closing button it gets stuck all the time.The riding wheels make it very hard to maneuver the stroller. Does it includes de Base for the car seat?